It’s humbling to step back, look around, and realize all the wonderful blessings we have. I try to do this often but the holiday season seems to bring it out more, so I thought I would share with you some of my holiday blessings. There’s 5 of us in my family mom, dad, brother, sister and me! My parents have been married for 30 years, my brother has been married for 1.5 years, younger sister has been married for 4 months and I (middle child) am getting married this weekend Dec 3rd! I became an aunt on October 26th to a beautiful niece and she is my parents first grandchild. Also, my furbaby Corn turned 1 in July! So you could say it’s been a crazy yet amazing year for my family. A fun little fact: my sister and I are 19 months apart in age, and since we are so close we decided to get married in the SAME year, within 4 months of each other, marry guys with the SAME name, our guys went to the SAME high school, and all four of us are left handed. Believe me none of this was planned!! Made this Growth Chart for my niece! Re-purposed my mom’s childhood dresser. Now it sits in my dinning room for all to see! Currently working on a desk, will post pics soon!! 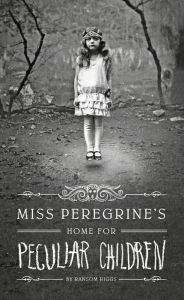 You always remember that first book that made you cry, this was that book for me. If you love reading about WWII, like myself, then you need to grab this book today! Couldn’t put this series down! I read all the books in a week span, would have been done sooner if I didn’t work 40hrs a week and try to be a good housewife lol. I’m 26 years old and I wanted to become a Peculiar after reading this lol…nerd alert! I’ve always wanted to get more out of life…who doesn’t…but I wasn’t sure how I was going to make that possible. I went on yearly vacations,which were nice, but living in a small rural community makes broadening your horizons pretty limited. So, one day I decided I would make an instagram account that none of my friends knew about and I would post recipes, farm life, products I love, and crafts projects. It started out great and I loved it, but of course I wanted to grow even more. I put a lot of thought into starting a blog. So many questions arose. Would people make fun of me? Would I have any followers? Is this dumb? After having a pep talk with my sister, I decided to jump off the cliff and start a blog. Best choice I’ve made this year, besides marrying my best friend! I have met and still continue to meet so many beautiful and motivating people who make blogging so easy and effortlessly. I am now trying to convince my sister to start a blog because I know she will love it as much as I do. Where would I be today if it wasn’t for my faith? I honestly don’t know. It has gotten me through good and ugly..ugly times and if it wasn’t for my strong faith in god I wouldn’t be the person I am today. He has blessed me with so much more than I could ever imagine, and I thank him everyday for it. I think, what did I do to deserve this? I’m blessed with an amazing fiance that I’m about to call my husband in 4 days!! Blessed with a beautiful family and hopefully soon, a start to my own family. Blessed with a great/flexible job that pays the bills. Blessed with my 27 amazing followers, who I love and admire! All of this happened because of my faith in God. I could write a week’s worth of holiday blessings but I wanted to give you guys a short little look into my life and what I’m thankful for. It might seem a little too sunshine and rainbows, but trust me it hasn’t always been this way. Maybe sometime I will share with you some of the obstacles I’ve had to overcome to get here. But for now thanks for reading! Enjoy all of that creativity… as you get older it slows down a bit. You are involved in so many endeavors. Cherish each activity… and know there will be many more experiences along the way. They are all important! That name “Corn” cracks me up! Thank you! I’ll be excited when it starts to slow down lol! And yes his name…I wanted to name him Oliver but my fiancé and his friend started calling him Corn and it stuck haha! Love this post Brittany– have too many comments!– First, I knew you were engaged, but why did I imagine a summer wedding?! Now it’s just days away! God bless you in these precious days ahead, such sweet memories and times with family. And blessings on all the happy years ahead. We’ve been married 41 years and I don’t know what I’d do without my Larry. —Next, fun to hear about your family. It has been a crazy exciting year! So wonderful to share it all with them like you do. —And love your projects. The dresser/buffet looks awesome, a family heirloom. I treasure the things I have that were my grandmothers. — Finally I am so with you on the importance of our faith. God’s good mercy and enduring love sees us through all that we walk through. I’m thankful with you for our salvation in him, for his care and faithfulness. SO- thanks for an awesome post! I know so many people will enjoy your writing & photos ahead… hugs hugs! P.S. 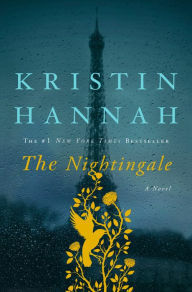 Loved the Kristen Hanna book too!